It’s said that taking preventative measures before cellulite has a chance to form can help prevent its formation. Even if cellulite is already a fact of life for you, prevention tips can help stop more cellulite from forming and may even reduce the appearance of existing cellulite. Here are some suggestions and ideas. Yes, you’ve heard this prescription before for overall health. But exercise may help prevent and reduce cellulite, too. 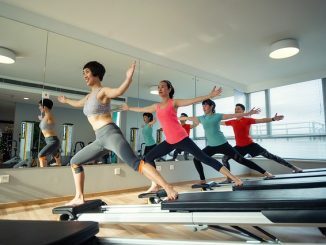 Regular exercise like walking or cycling is good to incorporate into your routine, and if you want to get serious about cellulite-prone areas, target-toning may help a lot toward prevention and reduction. Some sources say weight training is a good remedy for cellulite. Interestingly, sources suggest that smoking may play a role in the formation of cellulite. This is probably because smoking fills your body with toxins, and a build-up of toxins may promote cellulite. 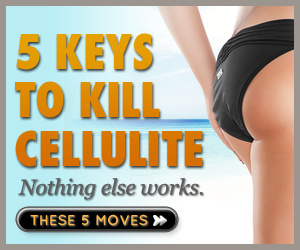 In fact, some sources say that cellulite is almost entirely due to toxin build-up. Smoking can also contribute to overall poor health, which can manifest as saggy skin and a tired appearance. Smoking also has a profound effect on the circulatory system, causing blood vessels to constrict and the heart to pump faster. It’s been theorized that cellulite may be caused in part by poor circulation. So avoiding smoking may prevent cellulite by keeping the circulation from being adversely affected. 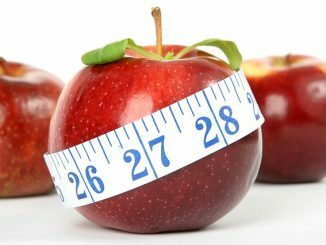 A low-fat diet may be an importance aspect of cellulite prevention, but only if the diet is low in unhealthy fats. Studies suggest that a diet rich in healthy fats (in moderation, of course) may help reduce cellulite and prevent its formation. Basically, healthy fats keep body fat healthy, and some body fat under the skin, especially in women, is perfectly normal and healthy. This fat layer may become saggy and pitted if the fat cells are being “fed” by unhealthy fats in the diet. Replacing the bad fats with moderate amounts of healthy fats may help keep this normal fat layer in top shape. Massage is considered an important treatment for cellulite, but some regular massage to prevent cellulite may be in order. You can make a simple massage part of your daily routine with a hand-held, home massager specifically for cellulite. Like massage, creams and scrubs can be used for prevention or reduction of cellulite. Their application can also be made a part of your daily routine; just apply them after showering and/or before bed.